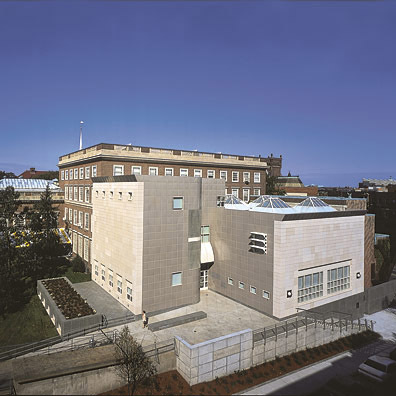 Its design responds to a number of unique site conditions, including the adjacent Carpenter Center for the Visual Arts, designed by Le Corbusier, an existing subterranean library by Jose Luis Sert and a required three level connection to the Fogg Museum. 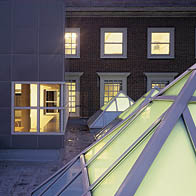 The building establishes a primary two-story facade facing the street and integrates a new exterior stair, plaza and ramp at the library entry. Behind it, the building rises to three stories, complementing the Carpenter Center as a distinct yet related object perceived from all angles. 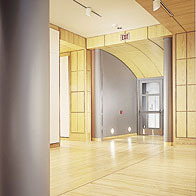 The fine-arts library has a separate entrance from the gallery, thus resolving a security problem when the library and museum hours are different. With its high ceilings, tall windows, and visible reference stacks, the reading room conveys the stature associated with such spaces. 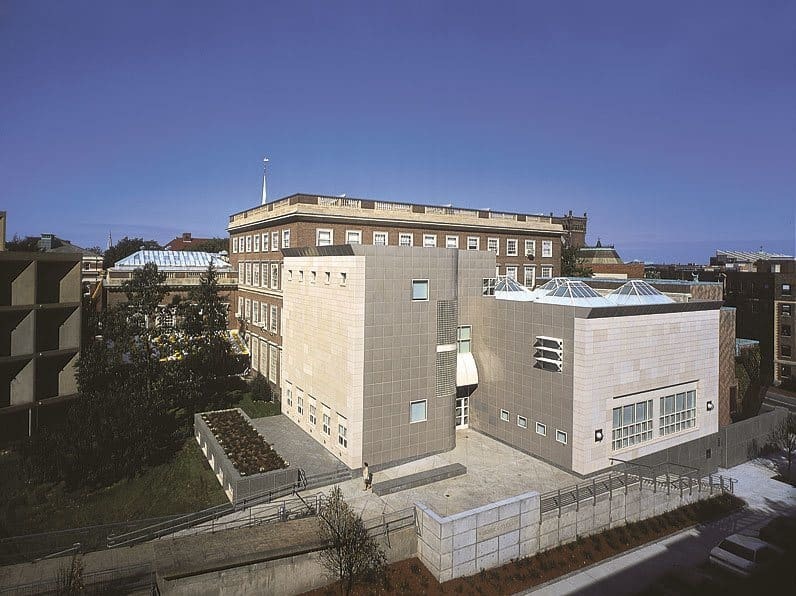 Existing streetscape and scale relationships had to be addressed, and constraints imposed by building above an existing underground library structure with limited load-bearing capacity had to be accommodated. 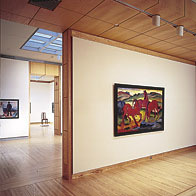 The solution also resolves Le Corbusier’s compelling site circulation idea. 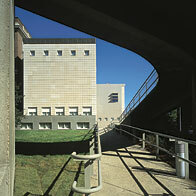 The Carpenter Center ramp, which was intended to provide a public mid-block walkway from Quincy Street to Prescott Street through the building, ended in the Fogg’s rear yard without a connection to the sidewalk. The design extends the ramp onto a new plaza from which one can either enter the library or descend a new exterior stair to the street.